If you're not sure where the day might take you, but you want to make sure you have your camera with you just in case, choose the Lowepro Adventura SH 120 II. 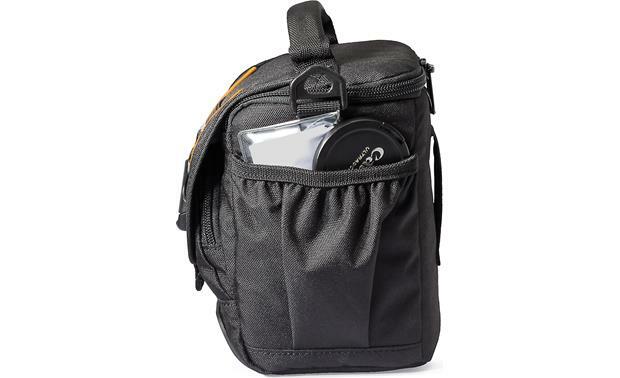 This bag is compact, durable, and comfortable enough to carry a small DSLR with kit lens and accessories for a full day of shooting. An adjustable interior divider system helps organize and protect your gear, and a water-resistant top flap with clasp keeps your gear safe and dry. 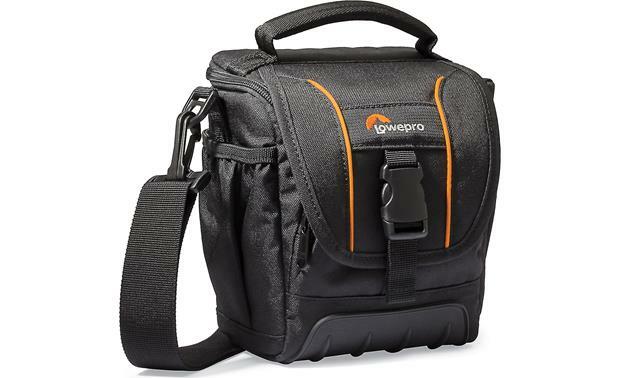 Overview: The Lowepro Adventura SH 120 II is a compact camera bag designed for packing your digital camera and a few accessories for a quick photo shoot or day trip. The bag will fit most small to mid-sized digital SLR cameras, "long zoom" digital cameras, and compact interchangeable lens cameras. The SH 120 II comes with an adjustable shoulder strap, and has a sturdy, dual-zippered closure. 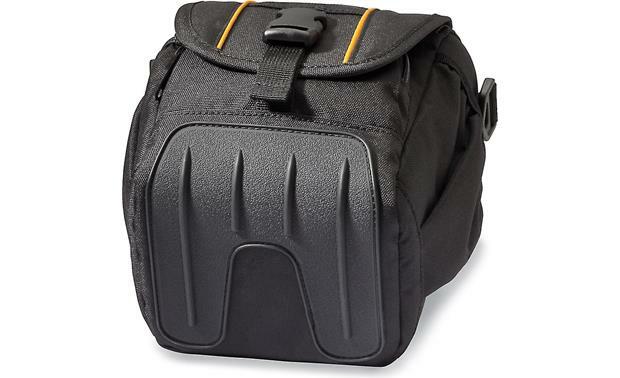 Design: The SH 120 II camera bag has a rugged design with a soft padded interior. The lid opens away from you, instead of toward you as you wear it, so you can easily see you gear. 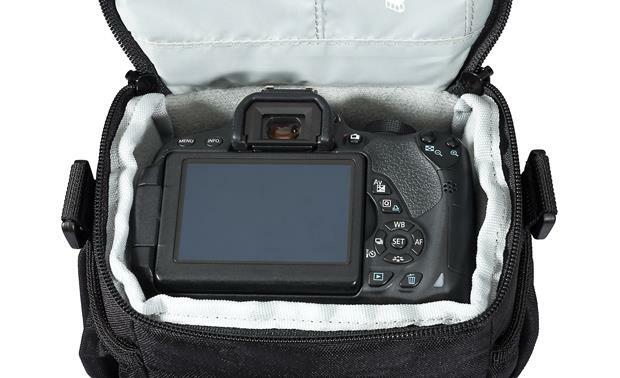 The lid features a zippered pocket for small accessories, and a built-in memory card pocket. 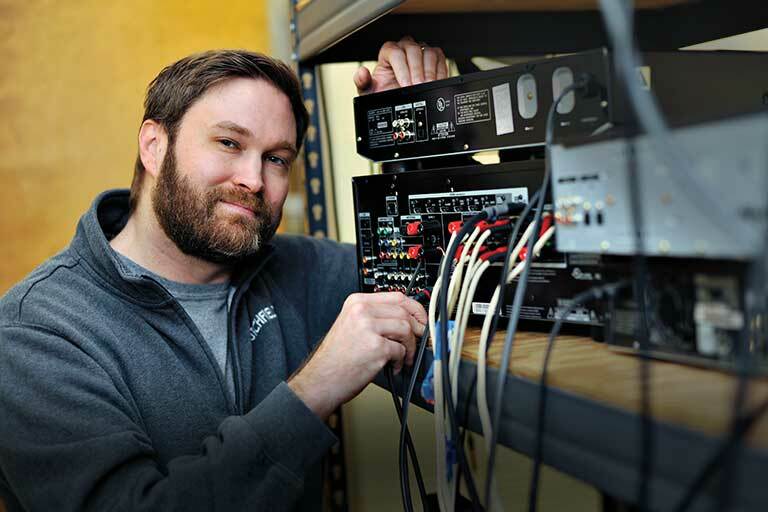 The custom-molded base protects your gear from moisture and dirt. Pleated side pockets on both sides are provided for other accessories. A separate accessory pocket (4.84" x 4.5") on the front is covered by a protective rain flap. 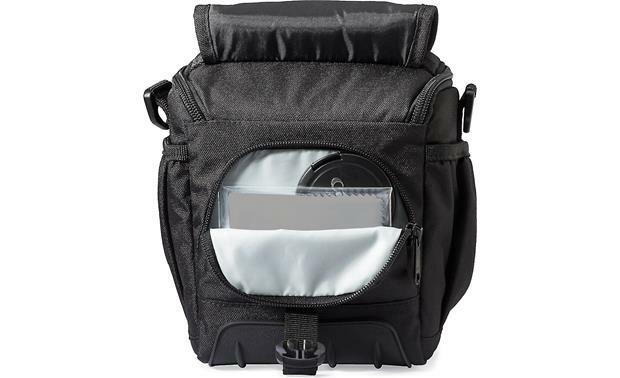 Removable Divider: The bag includes a removable curved padded divider that separates the camera and lens from other articles in the main compartment. The divider has hook-and-loop tabs on each end to hold it into place along the side walls. Handle: The Adventura SH 120 II features a comfort-grip grab handle on the top for easy carrying. Belt Loop: The SH 120 II has a built-in belt loop (2.5" high x 2" wide) to let you wear the bag on your belt, or to strap the bag to your backpack or other item. 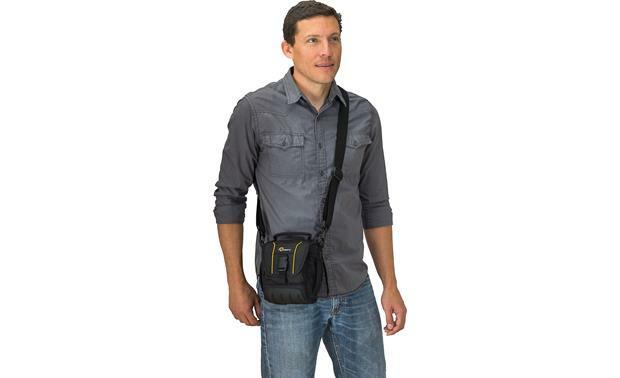 Shoulder Strap: The camera bag comes with a 1-1/2"-wide shoulder strap that is adjustable from 30" to 60". The strap features large plastic clips for attaching the strap to the bag. Searches related to the Lowepro Adventura SH 120 II Protective camera case.